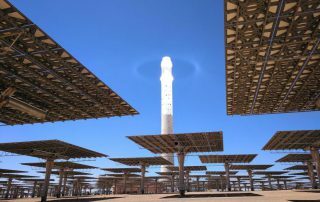 Morocco has raised more than $2 billion (1.7 billion euros) for the next phase of a huge Concentrated Solar Power (CSP) project. 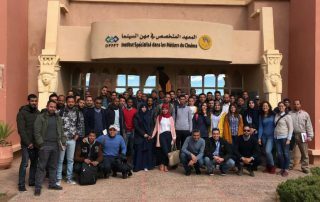 Support for the Noor 2 Concentrated Solar Power (CSP) and the Eolien Wind Energy (to be confirmed) programmes, worth 40 and 15 million euros respectively. In the solar sector, the 160 MW Nour 1 concentrated solar power (CSP) plant in Quarzazate is a prime example of the type of project that will attract investment. 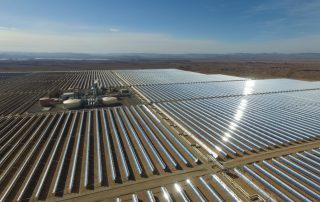 The African Development Bank Group (AfDB) has approved two loans, totaling €176 million (US$216 million) for the second phase of the Ouarzazate Concentrated Solar Power (CSP) project in Morocco. FLABEG FE supplied more than 530,000 solar mirrors for the Concentrated Solar Power (CSP) parabolic trough plant. The German Aerospace Center is testing the performance and durability of reflectors and receivers for concentrated solar power (CSP) plants in Ouarzazate, Morocco and in Bokpoort, South Africa. ACWA will build a Concentrated Solar Thermal Power parabolic trough plant with a capacity of 160 MW and three hours of thermal storage. 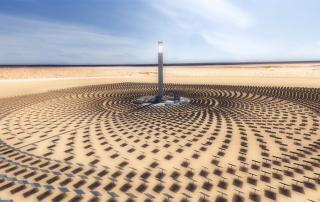 The US$810 million Concentrating Solar Power (CSP) project is expected to be completed in 2015.